Catherine’s Landing is an upscale RV and camping resort located on the shores of Lake Catherine and 15 minutes away from Hot Springs, Arkansas. It features waterfront, back-in, and pull-through RV sites on concrete pads with full hook-ups, 30/50 amp service, and cable. It is a premier destination for campers and RV enthusiasts, alike. 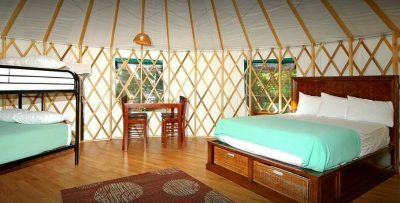 Its accommodations feature the ideal nature setting with a luxurious hotel experience, which equates to a truly unique outdoor experience. Hiking Trails, Rent a Kayak, Pontoon Boat Rental, Fitness Center, Swimming Pool, Modern and Safe Children’s Playground, Convenience Store, Fire pits, Pet-friendly Environment, Free & Reliable Wi-Fi, and Premium Coffee, Beer, and Wine.